Ready to start your day energized? It’s your most important meal of the day. Jump start your morning with a buffet and a stunning view of the sea at Hemingway Beach Side Grill and Bar, located at the Sea Aquarium Beach. You can take a seat at the restaurant or nestle on a beach bed just steps away. 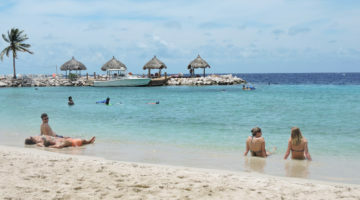 The buzz of daily activity – divers entering on the shore and boats occasionally cruising by – may inspire you to sign up for dive lessons, or you may opt to happily do absolutely nothing on your first day in Curaçao but sun-bathe on beach beds, enjoy refreshments and sign-up for a beach massage. Just steps away, Mambo Beach Boulevard is filled with bars, shops and restaurants on two levels. You can buy a new bikini, find unique souvenirs or even get a tattoo while admiring the magnificent view. The BLVD has you covered. 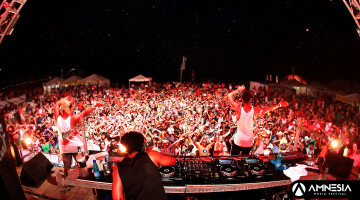 The atmosphere is chill during the day and dazzles on most nights with live bands, DJs and a great ambiance. 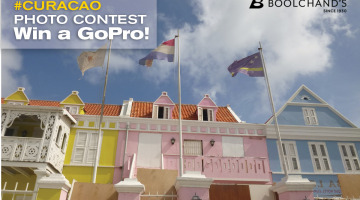 Looking forward to a quiet first day in Curaçao? Take a little turn to the West side of the island. Westpunt (Westpoint) consists of wonderful green hills, unique flora and fauna and some of the most amazing beaches in the world. 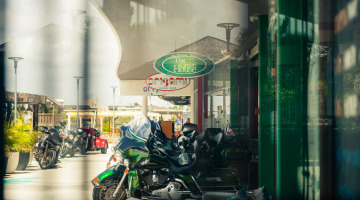 The moment you hit the road on your way to the West, peacefulness settles upon you. Playa Porto Mari is loved because of its clear blue water where you can spot the most colorful creations in the sea. On your way to Playa Port Mari, you’ll have a very good chance of spotting flamingos, so make sure to have your camera ready. A bit further down lies Cas Abou, a beach straight out of your dreams. This is the place where you’ll forget about the rest of the world, letting the sea work its magic on you. If you’re looking for more privacy, the beaches at San Juan might be the answer. Especially during the week, the small beaches in this area are often deserted. Just a little drive through the hills, and the four idyllic beaches are located right next to each other. Almost at the very end of the island you can find Playa Kenepa or Knip Beach. When looking down at the bay from the parking lot, it’s almost surreal. But you can blink as many times as you want, the slamming image you see is very real! Playa Forti is the last beach you’ll see at the western tip of the island. The beach is popular for cliff diving and relaxing. The rocks, white sand and blue sea make this a very striking and unique beach to visit. Ready to get to know the island? 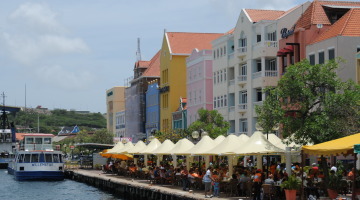 A stroll in downtown Willemstad will surely give you a good impression of its rich history. 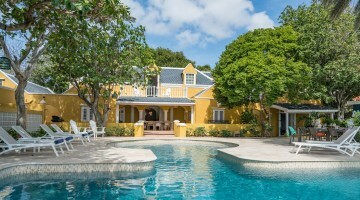 The Handelskade in Punda is a familiar picture. The colorful strip of small buildings welcomes you at Anna Bay as you walk over the pontoon bridge, also known as the Swinging Old Lady, to cross over to Otrobanda, which in fact means other side. Several walking tours lead the way to see the island from this unique perspective. 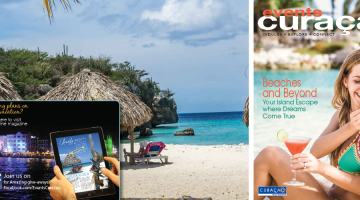 Simply put, Curaçao was virtually designed for walking. But before heading to the other side, refer to the Museum Listing on p.45 to see which museums you would like to visit in Punda and Otrobanda. You can visit Emanuel Mikve Israel Synagogue which was consecrated in 1732, and is still one of the most historic synagogues in the world. The Jewish museum showcases very precious religious and cultural artifacts that have been preserved on the island. 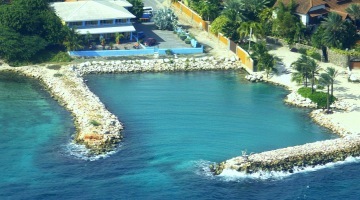 Since Curaçao is an island, it’s only natural that the sea has always played an important role in daily life. You can get a glimpse of the nautical history of the island at the Curacao Maritime Museum. Over 500 years of maritime history is documented via nautical charts, ship models and navigation equipment combined with audiovisual presentations. 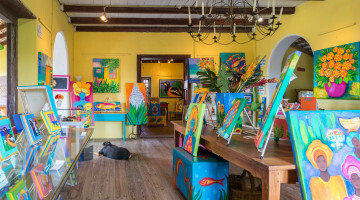 As you stroll through the pedestrian streets of Punda, you can buy souvenirs and spoil yourself with some fine jewelry too. The streets are filled with retail and local shops for all budgets. Stylish imported brands can be found in stores right next to local shops with fine art and souvenirs. Don’t spend too much time shopping though, because there is more to do! On the other side, the Kura Hulanda Museum in Otrobanda is informative as well as fun. The area around the museum consists of little alleys with striking architecture and colors. The museum shows the total process of the Atlantic slave trade in an approachable and interesting way: from the moment the slaves were captured in Africa, to their transportation and resettlement in Curaçao. 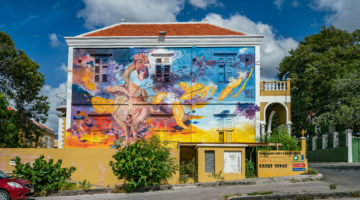 It also illustrates how African, Dutch, South American and Caribbean influences contributed to Curaçao’s vibrant culture. 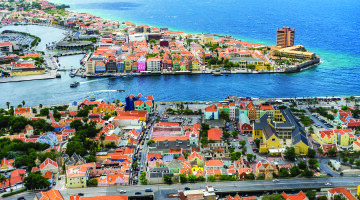 Curaçao’s landscape is composed of hundreds of striking monuments, ancient forts and colorful colonial architecture. 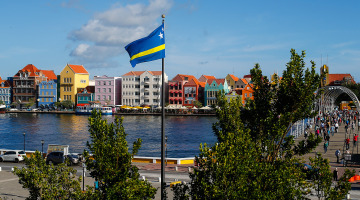 The Dutch took possession of Curaçao in 1634, recognizing the island’s strategic potential. Between 1634 and1828, eight forts were erected (six of which are still standing today) to protect Curaçao from privateers and pirates, and the ever-menacing presence of the British and French forces in the Caribbean. Today the Rif Fort, for example, welcomes everyone to shop, eat and be entertained as it stands witness to a by-gone era. Visit the different forts and experience living history first-hand. 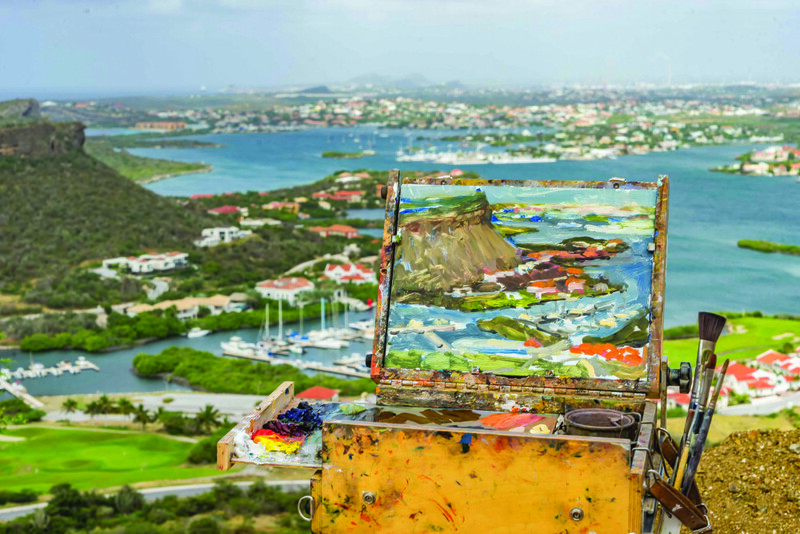 Curaçao is the place where exploration and relaxation meet – you will always find a way to enjoy a cocktail, lunch or dinner and live music too! 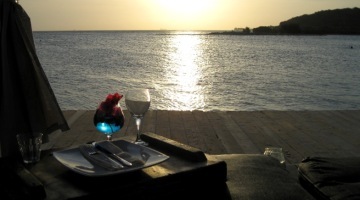 Foodies can indulge to their heart’s content in Curaçao . 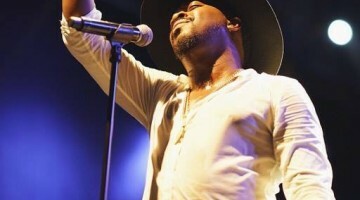 Jazz, rock, salsa and even Cuban tango are frequently heard in bars in Pietermaai. 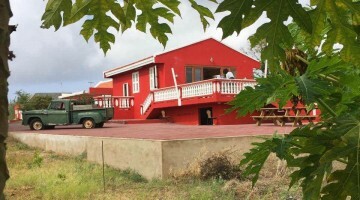 Restaurants and bars in the Pietermaai district are fairly new: the area was in serious decay until people with vision invested in its development, resulting in one of the most glorious parts of the island. A stroll during the day, will show you wonderful glimpses of the sea and striking architecture. A boat trip is an ideal way to see Curaçao from another perspective. 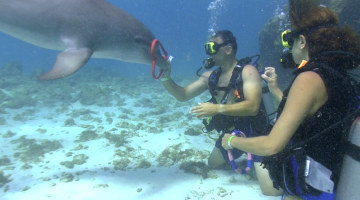 If you’re lucky you might even spot dolphins along the way! A sunset trip over the Spanish Water is a romantic way to explore Curaçao. 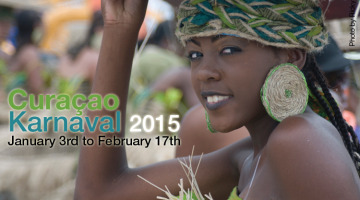 Or, if you’re in for a day trip, Klein Curaçao (meaning Little Curaçao) is your answer. As you approach the coast, you’ll spot the white sand welcoming you as you get ready to dive into the water. This magnificent day will be about spotting turtles, tanning and taking barefoot strolls. The Pelican Express also offers fun boat day trips, particularly one to the Blue Room. After a short ride along the stunning coast, you will spot a cave at sea level beneath a big cliff. Inside dwells the Blue Room. Once you swim or snorkel into it, the crystal-clear water reveals plenty of fish and coral. 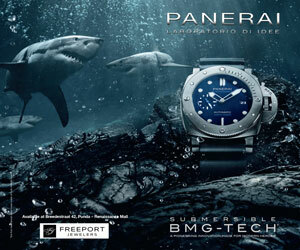 It feels like you are swimming inside an aquarium! you can easily explore the area where mangroves are growing again with the help of a local kayaker who has been replanting them for years. This area has become very green, as birds and other animals have made their homes in this bay. The inland waterway at Spanish Water is also one of the best places for water sports. With a kayak you can explore the hidden islands in the lagoon with views of the famous Tafelberg, Kabrietenberg or Seru Boca. This area is also great for SUPing. Several tours lead the way to the great flora and fauna of the Spanish Water. Up for some yoga? We’ve got a challenge for you: yoga on a paddle board with Dushi SUP. This experience will definitely leave you balanced! Still not adventurous enough? Not afraid of a little mud and dirt? 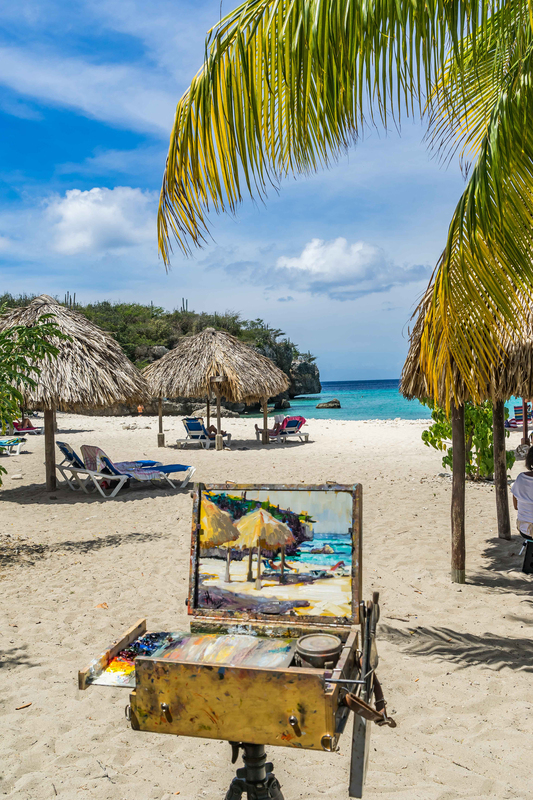 With a buggy, you can drive along the rough North Coast of Curaçao through hills and desert-like landscape, but also (depending on the time of the year) mud and dirt. 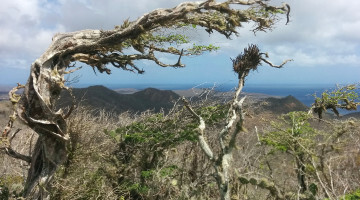 The views, flora and fauna are unique and can’t be compared to the rest of the island. Big waves crashing against the rocks at Boka Tabla create a raw and energizing scene which is unexpected and stunning. This ride is absolutely worth doing some extra laundry!